Oh these all sound fun from what I've read. Why no photos to share? I for one would love to see your pretty work! 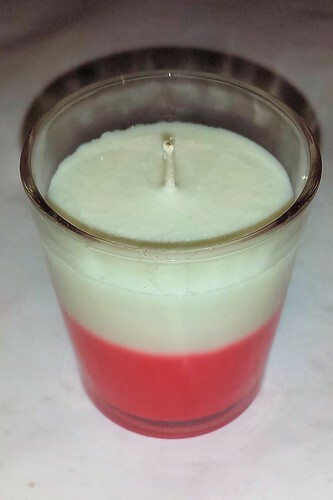 I've never made candles even in my hippy days! I think this is an good idea to share with your friends, candle photos is something new and unique sure next time I will take care of this. 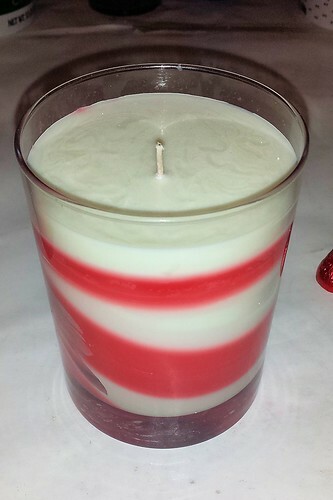 I usually make tarts, votives and single colored jar candles. 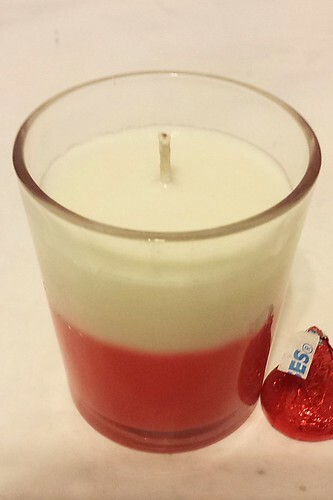 Peppermint Hot Cocoa Candle with whipped "frosting"
Nice looking candles! You did a fantastic job with the layering! I bet they smell delicious! My only comment would be on the zinc core wicks. Make sure to burn those with lots of ventilation, smoke from the zinc can cause migraines. I love trying new wicks! I'm hoping to try some of the newer type wooden ones sometime soon. 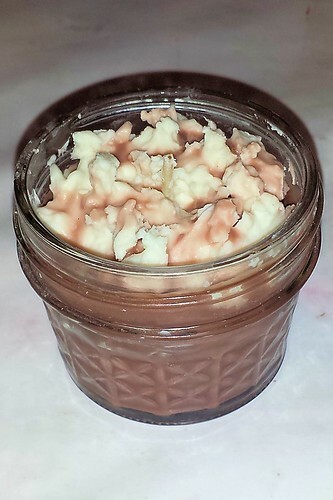 When I first started making candles I had zinc core wick and it took us a while to figure out that that was what was causing my migraines. We first figured it was the fragrance, but we asked a lady at a Lewiscraft store (used to be an awesome craft store chain, but I think Michael's killed it ) and she had read that the zinc can migraines. She even gave me the book for free! I miss little shops like that! I made some wax tarts so I guess this is the place to post pictures! We have Black Cherry, Green Apple and Raspberry Lilac ones! The molds, liquid dye and scents are all from Rustic Escentuals. The wax is from BrambleBerry! The Black Currant- Shipping within the US! My shop: The Black Currant on Etsy! Also on Facebook, Instagram, Twitter & YouTube! 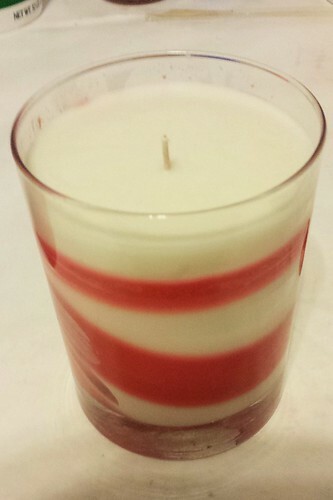 Very pretty candles! I would love to start making them myself but that is gonna be in a later life. Hestey, the wooden wicks are really neat. I bought a candle that had one and it crackles as it burns. It is faint but if the house is quiet, you can hear it.